Hazy Day is the outcome of a delicate study of light and how it diffuses, inspired by that time of day when the sun has not yet come up and the light of the sky is filtered through the haze. 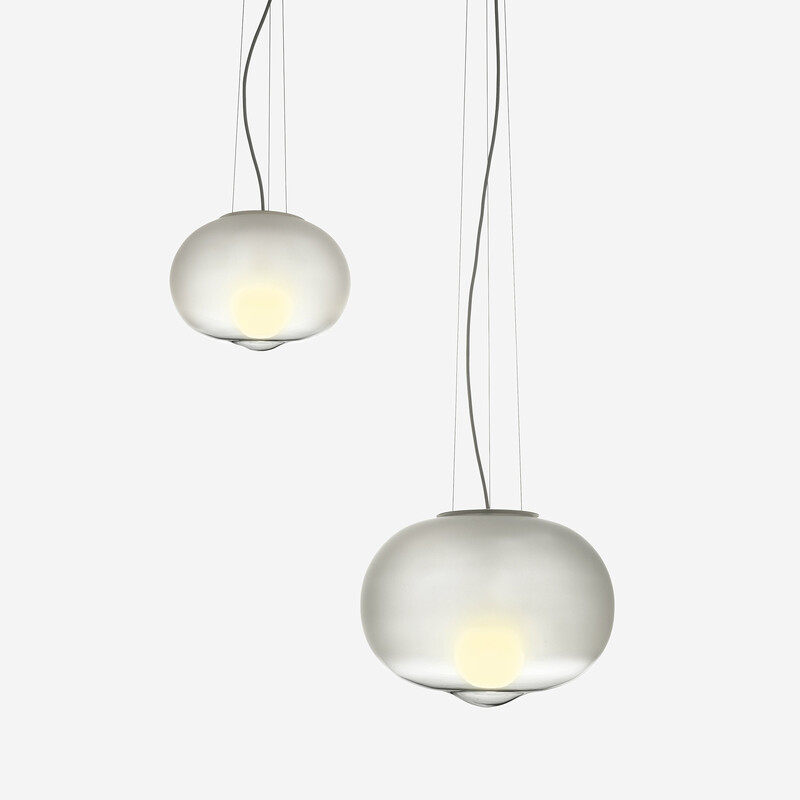 As a hanging lamp, the opal glass ball fades from a sandy matte to a shiny transparent finish at the small curvature that rounds out the lampshade. This detail breaks up the essential geometry of the sphere and harkens back to the technical procedure of glassblowing, the technique used to craft it. 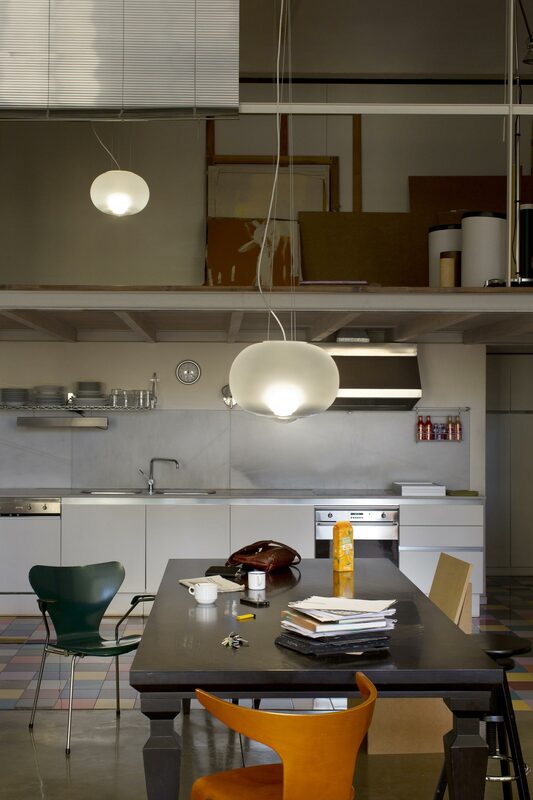 From certain vantage points, the downward-shifted position of the bulb and the bottom curvature generate a provocative sense that there is a double source of light. It comes in two diameters: 44 cm and 32 cm.